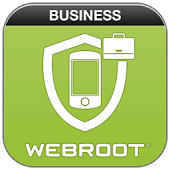 The Mobile PC Guys is proud to be a WebRoot Managed Service Provider Channel Partner. Webroot Secure Anywhere End Point Protection provides instantaneous protection and fast scans without the hassle of time consuming patches and signature updates. ​Protects against threats across email, browsers, files, URLs, ads, apps, and more in real time. ​Uses a layered approach to global threat intelligence to continually refine and enhance classification accuracy. ​Uses advanced behavioral heuristics to identify and protect against never-before-seen threats. ​Secures endpoints with 100% efficacy over a 24-hour period, as shown in independent tests by MRG Effitas. ​<1 MB client deploys and scans in seconds and is always up-to-date, without bulky updates or definitions. ​Runs alongside other security software. No need to uninstall existing protection just to give us a try. ​Uses journaling and rollback features to restore files to their uninfected state, so you don't have to reimage. ​Enables endpoint management anywhere, anytime, online with hierarchical controls and visibility. ​Offers monthly and annual subscription options, so MSPs pay as you go, per device, per month. ​Imposes minimal system burden, improves automation, and streamlines management to boost MSP profitability. ​Real-time protection from the cloud means your devices don’t get bogged down with bulky updates. ​At under 1 MB, our security client only takes a few seconds to scan and secure your devices.